Alberto Cerri. He's a Juventus youth player. 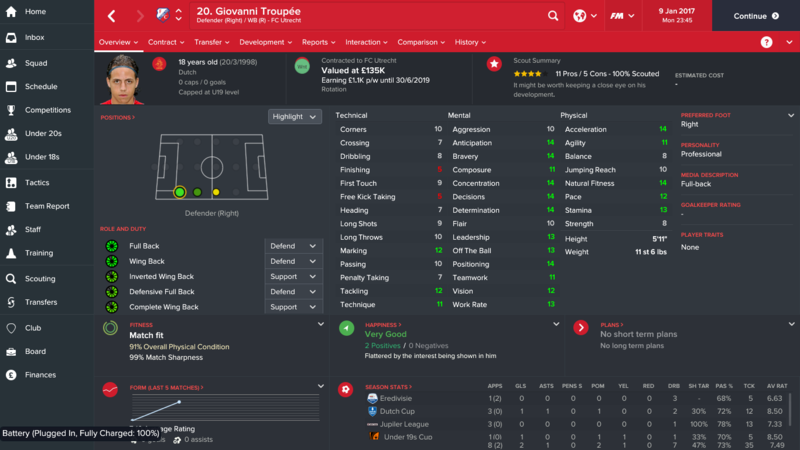 He has great stats for a young target man, and is a great acqusition for mid table teams. 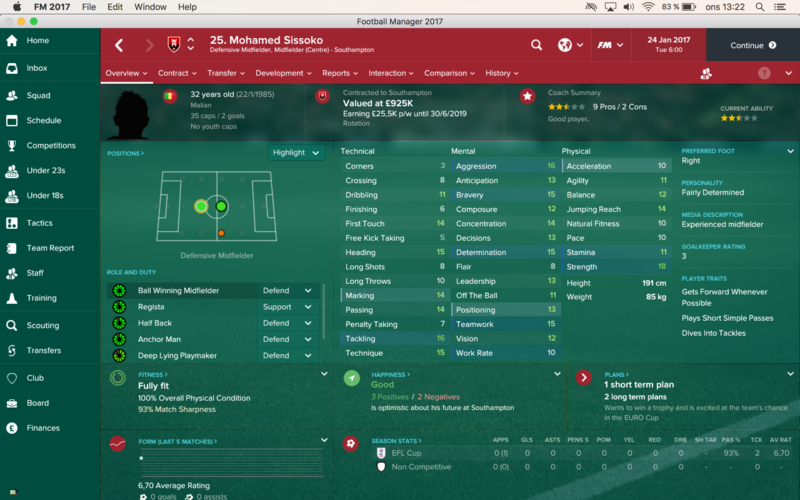 His mental stats are solid, but he'd be an amazing player if his mental attributes (anticipation, bravery, work rate, teamwork, off the ball, etc) went up with 2-3 points each. His PA is pretty good, between 140-170, so hopefully that comes to fruition. Even his tackling and positioning is at 9. Unfortunately Juventus seem to be unwilling to sell him for a reasonable price. He tends to be loanable though. Yeah, was just gonna post that he looks quite different in my game, and is a natural DM. Used this lad a lot, good enough as first choice for mid table premier league clubs and decent enough as back up for the big guns. Really good pace and crossing, perfect for "Looking for the overlap". Can't recommend him enough. Another nice little bargain from Sporting, currently out on loan though. Snapped him up for my Norwich save,fantastic little player playing him DM,rotated with Mulumbu. Great find well played ???? 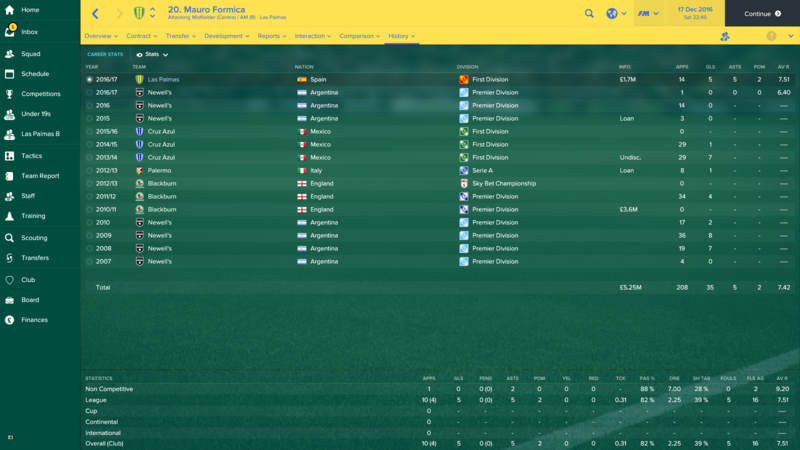 Cost me £8m in the first season but has developed nicely and performs really well. 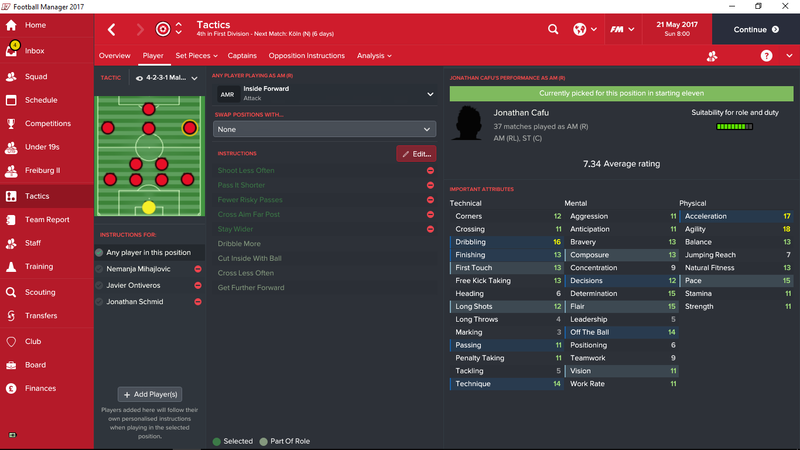 I play him mostly as a defensive fullback, and a really high defensive line. He mops everything up and eats wingers for breakfast with his physicals. He's covered well at CB too when needed. Unfortunately I couldn't get his determination up any higher but it should be possible with a good tutor. 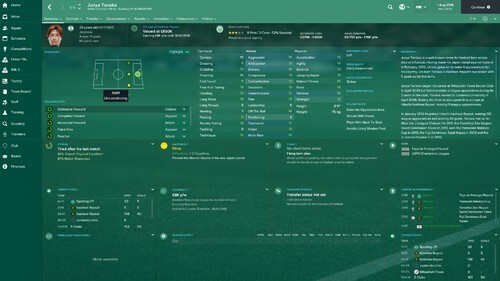 It's starting to upset me that I keep finding these random obscure players that I can't buy..
felt like only yesterday when the first thing I'd do on a new save is sign this guy on a youth contract. 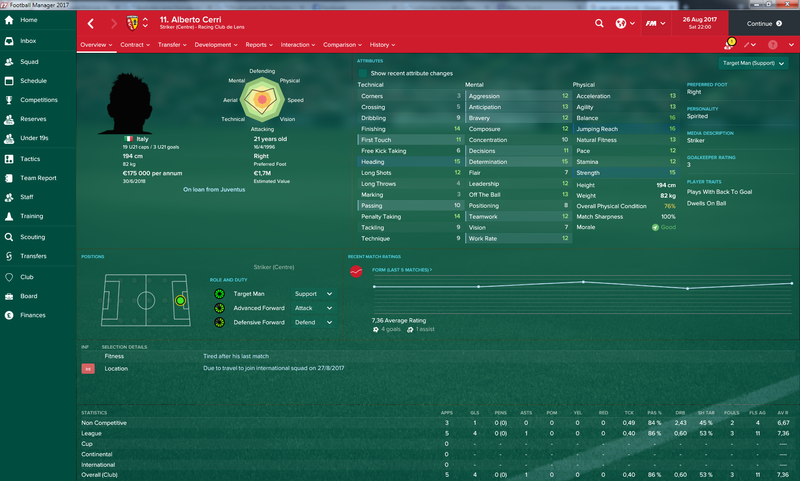 Wonder if i'll still be buying new versions of FM when Cerri is in his 30s. George Byers, great CM who can play pretty much every role. I got him on a free in 2019/20 and he has been amazing for me in the Scottish Premiership, just got his first Scotland cap in his 2nd season with me and is good enough to play in the Champions League so if you can get him he will serve you well even in the EPL if/once you get there. 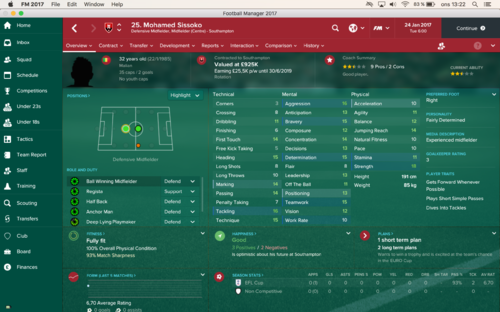 Starting a youth academy challenge save with Benfica this year! Already got some great prospects but need a few more to bolster the ranks. i am looking for potentially world-class wonderkids that are under 18 and you can still 'approach to sign' them. 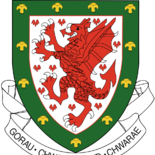 They also need to be at a lower team than Benfica otherwise they will not join. 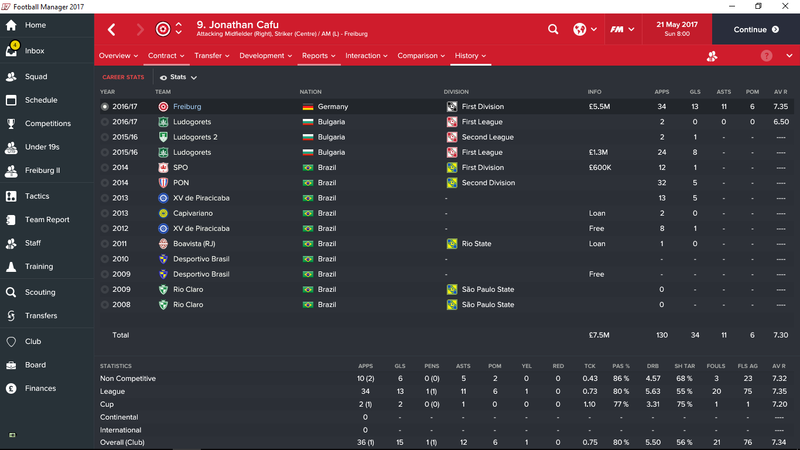 Haven't seen this lad posted yet, he seems to be one of the the next great Brazilian center mids! 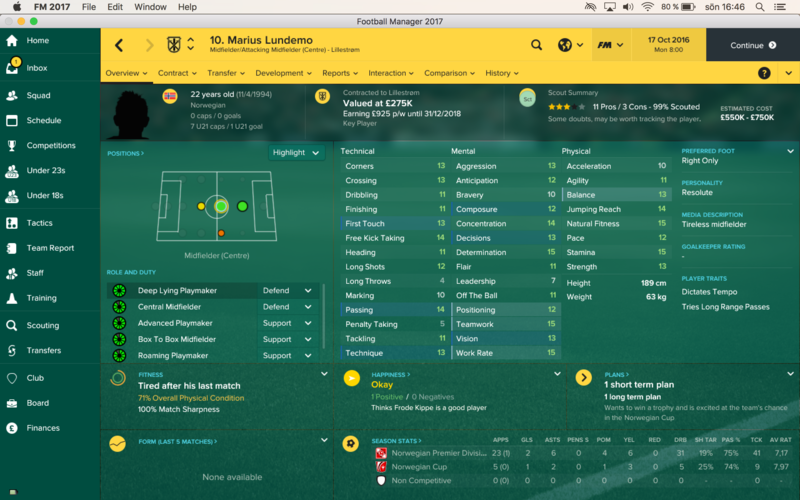 Picked him up in the summer of 2017 for around 5m euro, here he is at the start of the third season. 17 long shots, 16 technique, 15 composure. Looks like he was put on the earth to score screamers. 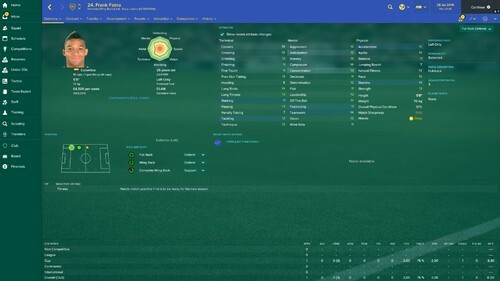 He's also got great physical stats and is an aerial threat. High dribbling and teamwork as well. Potential-wise, at least in this save, he has the potential to be a star Liga BBVA midfielder. 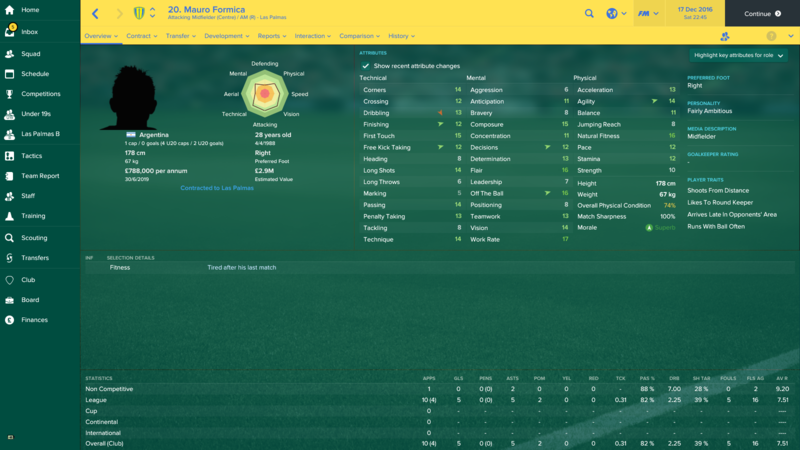 I believe he starts the game on loan at Vasco da Gama in Brazil, so you might have to wait a bit before being able to get him, but he's well worth it. Sergio is a 3.1m million signing from Porto. 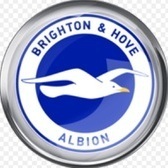 Should do a good job for a mid-table top league team. Probably a good backup for a top 4 team as well. 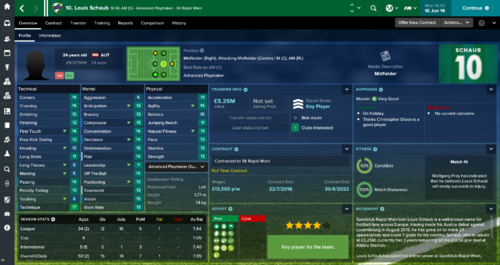 Schaub is my star at Rapid Wien. He should be cheap to buy at the start of the game. Cant see him, who is it? He looks great. Could see him retraining as a CB at a big possession team, make him the next David Luiz! Will Schaub move to Championship clubs? Anyone can suggest a reliable CB for Hamburg season 1? Budget is about £1.5M. 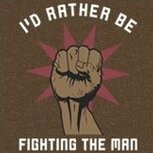 Doesn't have to be anything special, but intelligent and strong would be nice. Nikola Milenkovic is only 18 years. Starts at Partizan. 500k Euros. 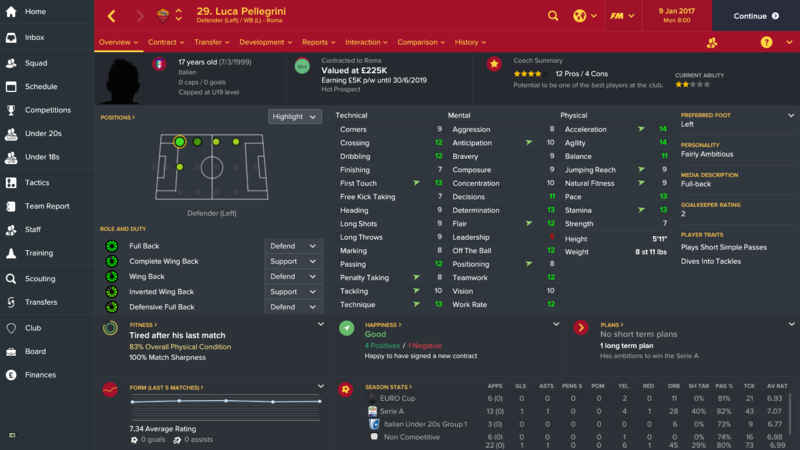 Doesn't have much pace but really solid otherwise for his age. Thanks! Currently contemplating him vs. Ionut Nedelcearu, the later slightly more developed but also older and over a mil more expansive. 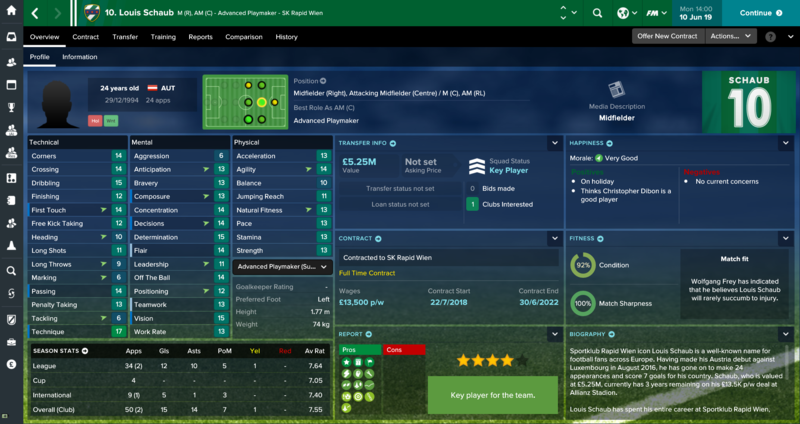 Looks like an amazing ball-playing CB for just over 2mil. The kid is class, brought him on a whim in the Jan window second season for my Liverpool team and wow he is immense quality AP or SS in the AM strata. This legend's contract expires in January (first season) and could still do a decent job for PL clubs. Not too expensive either as he only demands around £25k/w. Unlucky. How much did you pay for him? 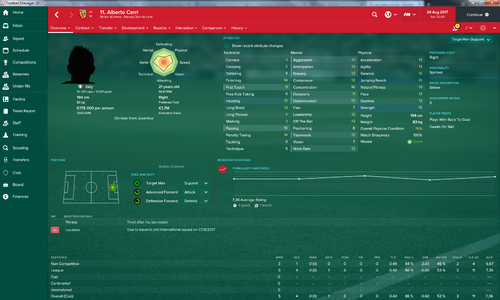 Not exactly a "hidden gem" but this good ol' reliablelad was freakin' transfer listed. 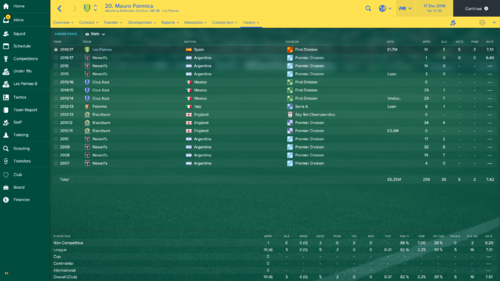 He's been nothing short of great for my Las Palmas side, note he was merely competent as a AMR before, took like two games to get to accomplished though. Probably used best as a b2b midfielder. Energetic, hardworking and is able to read the game well. Passing is just average though. 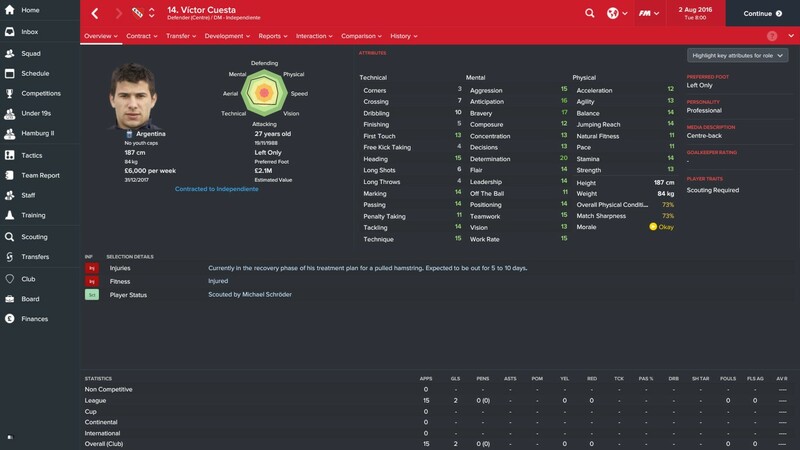 Quality experienced leftback for 60k that will sign easily for league one sides? Intrigued to see how this lad turns out. 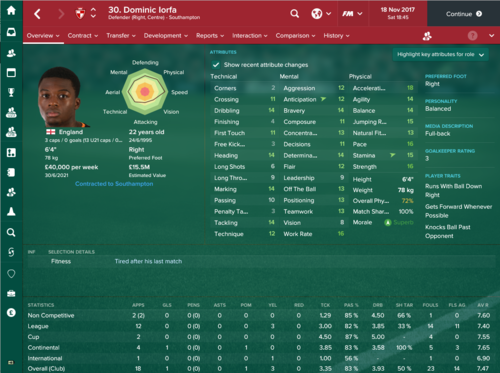 No idea how unknown he is on here, or how buyable he is, as I'm Roma, but he seems talented enough, and isn't someone that I've come across before. Adel Taarabt - 550k plus about 1 million addons from benfica - perfect in a AMC or AML position - doesnt score tons but is great at getting the ball quickly into the box. Jack Rodwell - 5 million from Sunderland - Plays brilliantly as a CM with his great passing and solidness - the only prone is that he gets injured alot if not rested enough. 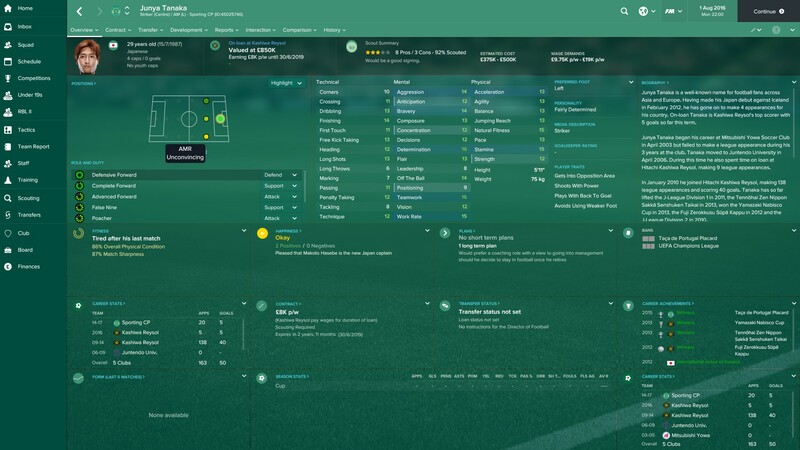 Jamaal Lascelles - 11 million from Newcastle plus about 3 million addons - At such a young age he is a beast in defence and can score a few with his head - The only negative is that his first touch isnt great but overvall he is amazing. Jack Rodwell - 'hidden gem'? Jack Rodwell - For Inter? Mate, come on. 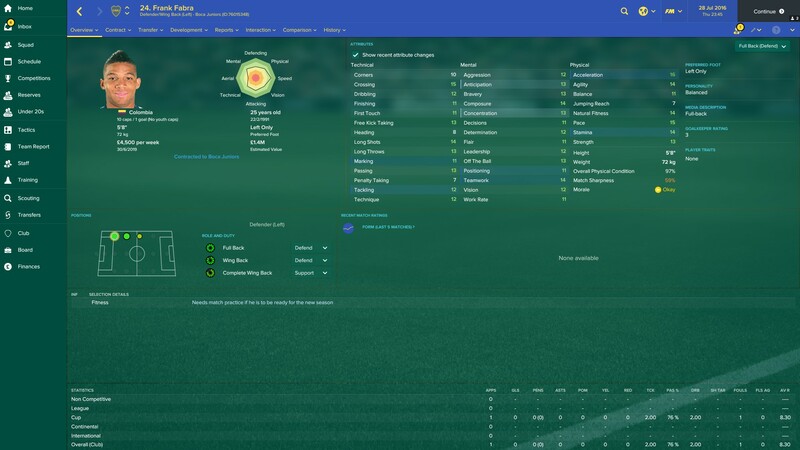 Joao Gois is a brilliant right back for 350k from P.Ferreira. He posses the 'Possesses Long Flat Throw' PPM which has been invaluable for my Freiburg team. 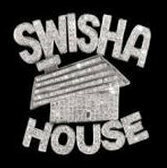 This thread isnt only about "hidden" gems. I don't see a problem with someone suggesting a player like Rodwell turns out well, as like yourself, most people probably won't sign him. To me, it being posted that he can turn out well, is positive as I'll look at him more from now on instead of just skimming past him. I'm still not sure Jack Rodwell constitutes being called a 'gem', poor stats, relatively expensive, big wages and he's injury prone to boot. Mentioned earlier how the entire Ludogorets team is a goldmine. 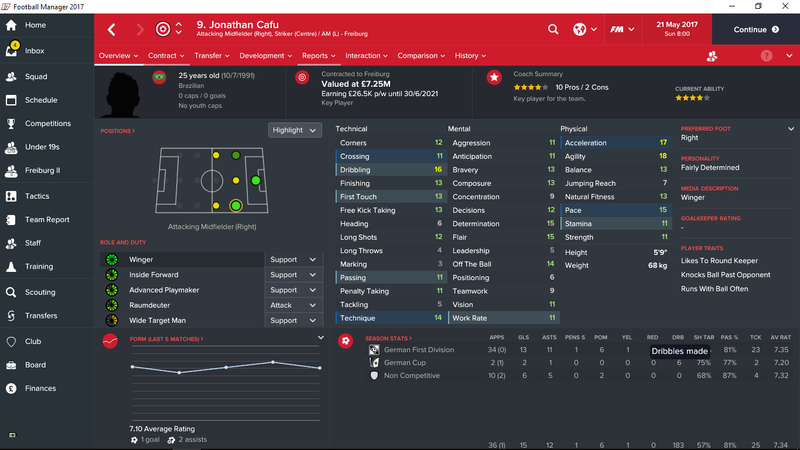 But finally got around to signing their star player Jonathan Cafu for my Freiburg team for 5.5m in the first season - and he has been an absolute jet. 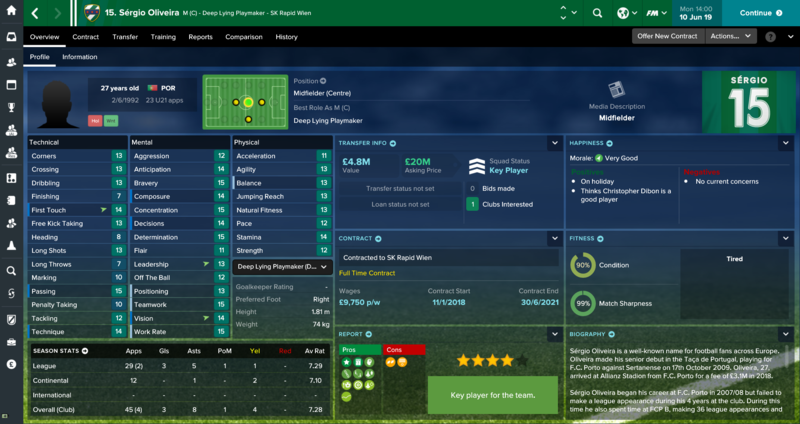 5.5m is probably slightly pricey, but he's carried my team to a 4th position finish in the first season, which is quite the accomplishment. EDIT: Aaaaand he just gave another 2 assists in our German Cup Final victory against Koln. Beast. What position you playing him in?